Kesha at the 2017 MTV Video Music Awards at The Forum in Inglewood, CA on August 27, 2017. Blac Chyna wears a revealing denim mini dress as she leaves Barton G restaurant with a male friend and hops into a red Ferrari in Los Angeles, California on Monday June 5, 2017. Jess Bauer at the 2017 MTV Movie and TV Awards and Press Room at The Shrine Auditorium in Los Angeles, CA on May 7, 2017. Jenna Ortega at the 2016 Latinos de Hoy Awards at Dolby Theatre, 6801 Hollywood Boulevard in Hollywood, CA on October 9, 2016. 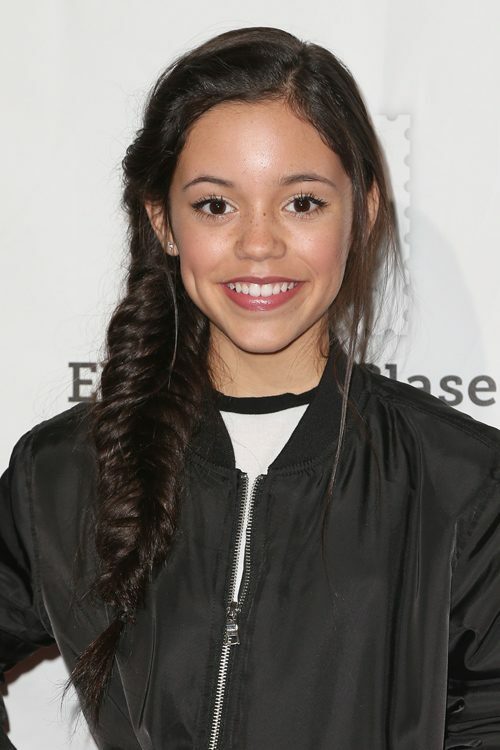 Jenna Ortega at the 27th Annual A Time for Heroes Family Festival Benefiting the Elizabeth Glaser Pediatric AIDS Foundation at Smashbox Studios in Culver City, CA on October 23, 2016. Skai Jackson at the “The Space Between Us” Los Angeles Premiere at ArcLight Hollywood, 6360 Sunset Boulevard in Los Angeles, CA on January 17, 2017. Meghan Trainor has a side part fishtail braid in the music video “Dear Future Husband”. Emily Osment at the “Rogue One: A Star Wars Story” World Premiere at The Pantages Theatre in Hollywood, CA on December 10, 2016. Margot Robbie at the Suicide Squad UK film premiere in London, United Kingdom on Wednesday August 3, 2016.